The National Film Unit holds an important place in our audiovisual history. 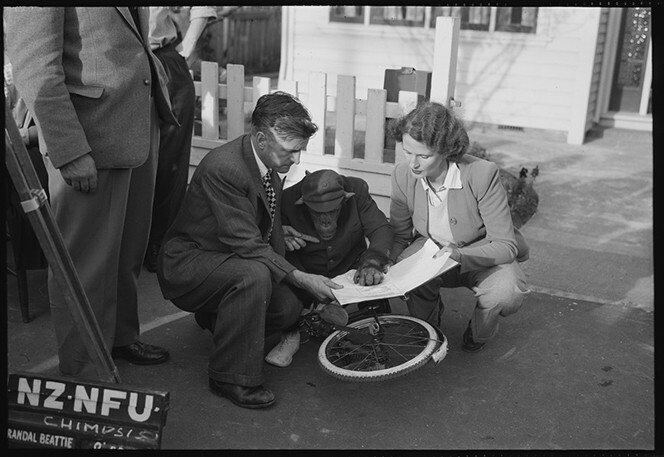 NFU productions were a major source of news and information for New Zealanders from the 1940s to 1980s, and its output and influence helped shape New Zealand’s emerging film and television industries. As part of Suffrage 125 celebrations, and to mark World Audiovisual Heritage Day, Archivist Katherine C’Ailceta will profile some of the pioneering women film-makers of the NFU and present some of their works. Katherine C’Ailceta is an Archivist in the Research Services team at Archives New Zealand, where she specialises in film research. She has a background in New Zealand media history and archiving, and has worked in audiovisual archives for over a decade.